For students with dreadful 8 a.m. classes, it’s not an easy task to get up, get ready and eventually make it to class. But can you imagine how difficult it is for us girls who want to get dressed up and look good for class? Or at least not have the sluggish and unattractive sleepy face. However, there’s just not enough time at the crack of dawn to perfect our make up when all we’re thinking about is crawling back into our comfortable beds. But look no further, Mizzou ladies! Clinique’s Chubby Sticks are here to stay (literally here) and they’re here to save the day (mostly mornings). The Chubby Sticks are Clinique’s new moisturizing lip color balms that come in a variety of colors from bright pinks to subtle browns. 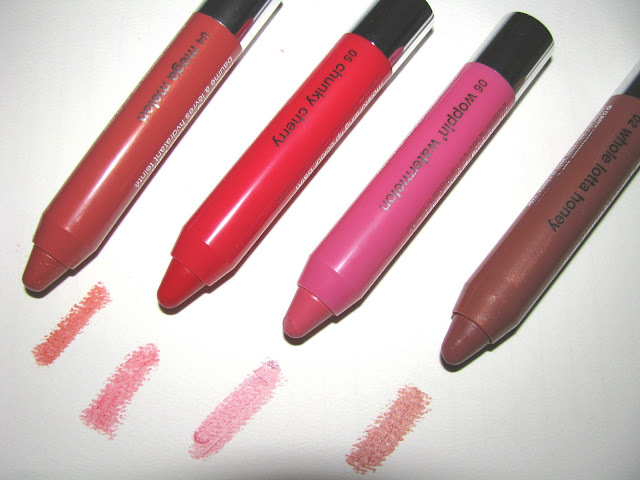 They are designed to give both moisture and color to the lips at once, which I can attest to. When you apply one, it feels slick and smooth, like a lip balm. But it also gives you color that accentuates your lips. Two in one — just like that! There are two ways you can wear it depending on the look you're going for. You can apply a small amount followed by a layer of lip balm for a subtle look when you want minimal make up, or you want to emphasize another area of your face. You can also apply it back and forth across your lips several times for the color to stand out and give you a bolder look. Chubby Sticks save time because you don’t necessarily need a mirror to put it on. Their stick-like packaging makes them easy to apply, and they are the perfect travel size. The sticks are small enough to carry in your purse, but big enough to last you a few months. It’s so compact that you can apply them while dashing to class, during class, after lunch — basically anywhere, anytime. Feel the need to add Chubby Sticks to your hectic college life ASAP? Look no further! You can find them for $16 at our very own MU Bookstore at the Clinique counter. If you’re not sure about which color to get because there are just so many to choose from, you can try on the colors before making your purchase. The saleswomen will gladly help you try them on and can help you with your decision in the pursuit of finding the perfect color that brings out the inner you. How convenient is that!